Oh My, What Sharp Riffs You Have! 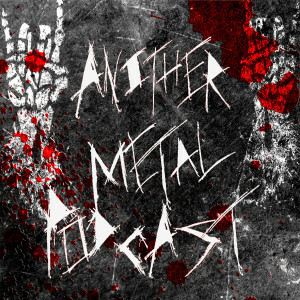 Here we are at episode 8 of our regular heavy metal podcast, and it’s quite a well-rounded one. We start it off fairly light in the first set, get a little blackened and nasty in the second, and finish off with a thrashy third. Countries represented this time around include Russia, Italy, Greece, Spain, Canada, Chile, US, and Arkansas (not technically its own country, but come on…). Speaking of that state’s newest prog rockers, if you like Terminus‘ song featured on this episode, don’t forget to check out our full stream from a few weeks ago; it’s worth it. As always, make sure to peruse the playlist below for links to all the bands played and check out their new albums, EPs, and singles. Get all the subscribe links on the show’s main page for your podcasting flavor (iTunes, PlayerFM, Google Play Music, Stitcher, etc.). And I would be greatly honored if you checked out the Patreon campaign for Another Metal Podcast; I’d like to do a hell of a lot more with this ugly little labor of love and also keep it commercial-free all the while, and with support from you metalheads I can make that happen. Or spend those dollars on the band’s music and merch instead, I certainly wouldn’t mind that and neither would they. Now on to the loudness!